1st Call Signs is a family run business with over 25 years experience in the trade. budgets and dead lines for our clients. We supply and fit most signage and keep costs at competitive rates. what you need we will always try and help you find what you are looking for. We supply and fit van signs using high quality vinyls. 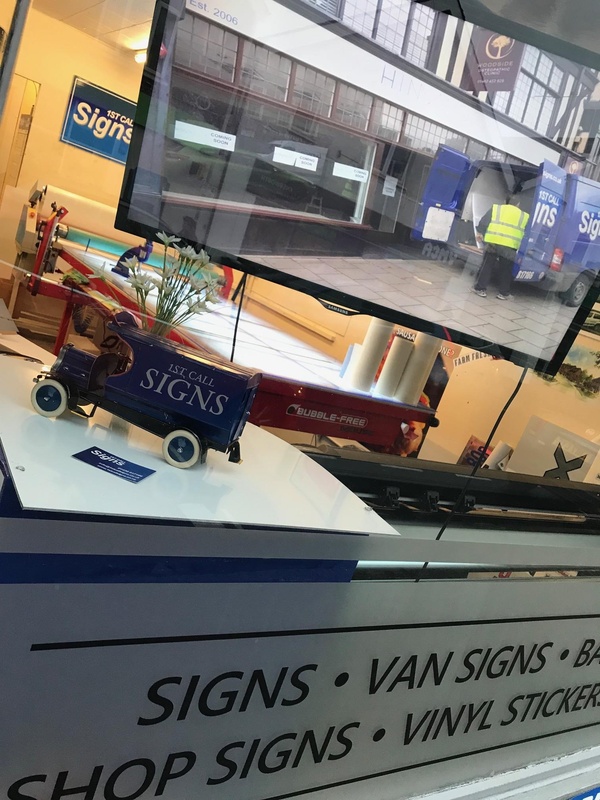 From small companies with one or two vans to companies who require large fleets sign written - we can cater for them all. signs to suit most budgets. From Aluminium composite signs to large 3D built up letters and light boxes. You name it... We probably make it! We use one of the best vehicle grade magnetic materials to create bespoke magnetics for your businesses vans and cars. team will see if we can help you.